Enjoy a day of rest, whether you start Shabbat on time or early, . Teach the children in your life to value their education. When you share the information you learn from Jewish Treats, take a second to mention your source. Never hesitate to ask God for the things in life that you want, but remember that the answer might not always be yes. Spend time with a Holocaust survivor. From sundown tonight until tomorrow night, make a conscious decision to think about those who perished in the Holocaust and honor their memory. This Shabbat, take the time to enjoy the beauty of the world around you. Remember that moderation is key to a balanced life. 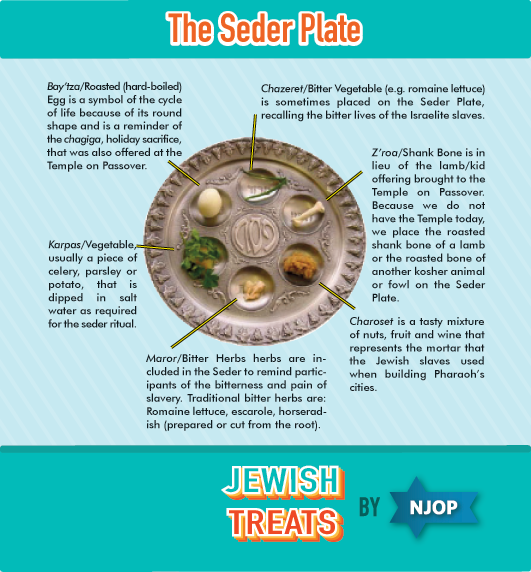 NJOP and Jewish Treats wish all of their friends and followers a happy "final days' of the Passover holiday. Make certain to have two whole (complete) matzahs for the Ha'motz'ee blessing for each of your Shabbat meals. 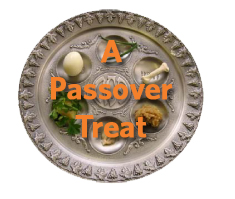 Passover is a great time to increase the vegetables in your diet. Mark a calendar to help you keep track of counting the omer. Pay attention to fire safety when you burn your chametz. 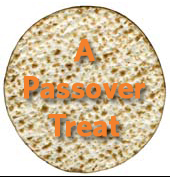 Schedule time on Sunday night (after dark) to fulfill the mitzvah of searching for chametz. Begin thinking about what freedom means to you and share your thoughts at the seder. Polish any silver cups that you plan on using at the seder. If you don't know your family's origin and customs, try to track down an older relative and ask them. 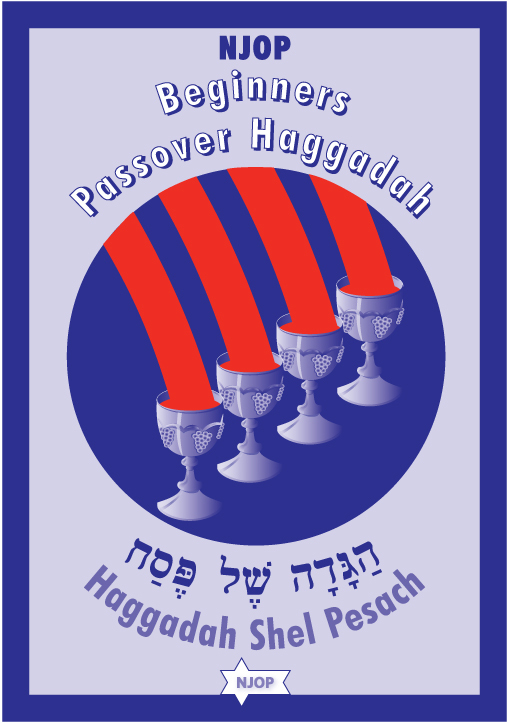 Before seder night, choose a haggadah that you find both easy to follow and meaningful in its extra information/commentaries. If you enjoy wine, invest in a nice, light, kosher wine for the seders.